Last Wednesday night I tried something different. 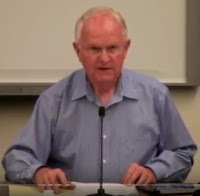 Instead of sitting in the conference room at the High School listening to speaker after speaker solicit supporters of their views, I drifted to a point of five hundred feet above the room and concentrated more on the actions of the group instead of what was actually being stated. It was officially a Planning Board Public Hearing on the rezoning request for the Brewer-Young Estate (aka Mansion), but it was also a rehearsal for our upcoming Special Town Meeting on the rezoning issue. On one side of the issue was the emotional “Save Our Green” group and on the other side was a more logic driven group, “Save the Mansion”. The Save the Mansion group had a “plan” and the Save Our Green group offered emotional responses to justify their position. Every person at this meeting has shared an equal opportunity in the past years for stepping forward with a plan that would have preserved the appearance of the Mansion, and yet, only one group of individuals displayed the vision and financial backing to do more than provide “lip service” to the preservation of the Mansion. The Mansion has been in decline for years, and now, when we finally have a group willing to take a chance on its preservation, the “nay-sayers” are coming out of the woodwork spreading every type of rumor possible in hopes that something will stick. Where was this group when solutions to the preservation of the Mansion were being sought over the years? Ironically, the Save the Green folks could have formed a LLC years ago combined with a robust fund-raising effort and possibly purchased the Mansion from this grass roots effort. But instead, everyone has quietly stood by as the Mansion has declined. The Save Our Green group now has a vision, but that vision is narrowly focused on only stopping the Save the Mansion movement. Unlike the Save the Mansion group, the Save Our Green group offers no solution or plans. In a final movement of defiance against the Save the Mansion group the Save Our Green group has resorted to smearing the activities of our Town Manager suggesting unethical behavior. This is just one more smoke screen designed the draw our attention away from the fact that they really don’t have a plan other than opposition. I believe everyone did an excellent job expressing their views in support of their positions, but my preference will always be to drift more favorably towards programmatic planning efforts instead of emotionally driven decision making. In the case at hand, it appears that the Planning Board had similar thoughts in approving the Save the Mansion proposal setting the stage for approval at our Special Town Meeting which will be held on January 25, 2018. As viewed by many, this is a very important step forward for our community. Please plan on attending our Town Meeting to support your position on the rezoning issue. When our family gets together, we often reminisce about the wonderful experiences we had over the years at 734 Longmeadow Street. As young kids, playing hide-and-seek... as teenagers, celebrating the holidays with friends… as adults, hosting a party or welcoming a newborn to the family… the property is a bottomless well of memories. Perhaps that is why it was so difficult for us to sell the property back in 1989. The moments, the history, the sentimentality of it all. But if we said that is primarily why it was so challenging to sell the property, we would be lying. The reality is that there was another aspect in owning and selling an approximately 11,000 square foot home that is over 100 years old. But we’re getting ahead of ourselves in this story. Let’s back up a little. When our matriarch of the family business, Mary Ida Young, purchased the property in 1922 to use as her personal residence, she initially employed a large staff of caretakers, landscapers, an arborist, maids, and a cook to help run the property. If you look at some of the archived black & white photos of the interior and the grounds from that period, you get a sense of the attention to detail and the sheer scale involved. In fact, care of this very large home with its sizable carriage house and adjoining horse stables, as well as the detached greenhouses, fountains, rose garden, horse track, and over 30 acres of architected land became a 24/7 responsibility for Mary Ida. Subsequently, some of her staff lived on the premises full time, both within the servants’ quarters of the main house as well as in the rear carriage house. Although Mary Ida decided to name the property “Meadowview Farms”, our family eventually used a more informal nickname when referring to the main house itself… it simply became “the big house”. 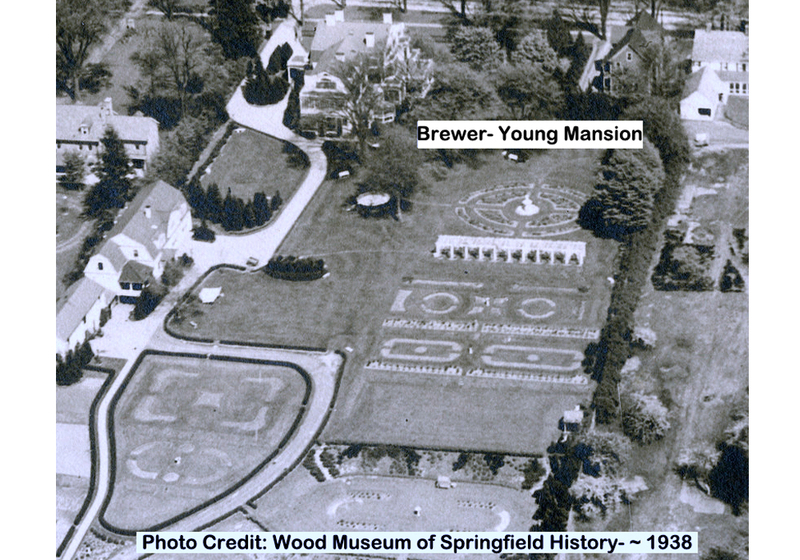 Thinking back, we can’t recall a single instance of anyone in our family referring to the property as “the mansion”, “the Young mansion”, “the Brewer-Young estate” or any other mix of formalities. That was too much outside our comfort zone. Over the decades, the overall size of the property diminished. In 1959, numerous acres were lost to the construction of Interstate 91. In 1977, the carriage house, adjoining stables, and a few surrounding acres was parceled off to create an additional residence for the family. Likewise, the size of Mary Ida’s staff diminished over the years, especially after her passing in 1960. By the 1980s, her grandson and president of the family business, Wilbur Young III, relied upon local contractors to maintain the property. Members of the family also took on some of the work around the property, which we honestly relished at times. Especially when it involved putting around on the tractor, or being rewarded with mouth-watering burgers from renowned White Hut. Yet even with reductions in the property’s size and overhead, annual expenditures including maintenance, utilities, insurance, and taxes exceeded $50,000 during the 1980s. And this was without any mortgage, or any major expenditures such as the much-needed replacement of the knob-and-tube electrical wiring that continues to deteriorate to this very day. Upon the sudden passing of Wilbur Young in 1987, we were faced with the difficult decision to put the main house and surrounding land up for sale. What we suspected and validated over the following two years, was that no one was seriously interested in purchasing this very large and very old house as their personal residence. Keep in mind this was during a time when the local economy was very strong, and the structure itself was in much better condition than it is today. After considerable reductions in our initial asking price, we finally sold the property to a pair of investors at the end of 1989. These investors intended to re-purpose the house for non-residential use, while simultaneously parceling off most of the land in the rear to develop single family homes. Upon the inability for the new owners to receive approval for a change of use of the main house property, they eventually were forced to re-list it for residential use. This began an ongoing cadence of re-listings, ownership changes, price reductions, foreclosure, eviction, and ultimately, neglect. Whenever the main house was put back up for sale over those many years, friends occasionally would ask us purely out of curiosity if anyone in the family wished to buy the house back. As much as we all love the big house, in all sincerity, the usual response was “Not even for a dollar”. Yes, the house was our family home for over five generations, and we miss it dearly. And from the community’s perspective, it is a distinctive landmark that has significant historical and architectural value. But the other reality is that this aging edifice and its surrounding grounds is an extraordinary financial burden for anyone who owns it. To think otherwise would be foolish. When considering the lack of any offers over the last seven years to purchase the house for residential use, combined with extensive restoration costs and annual maintenance costs, we believe the likelihood of someone purchasing the house for residential use is “less than zero” and is a non-starter. When considering the various use cases (bed & breakfast, condominiums, etc.) and related market & financial analysis the current owners have undertaken, our family honestly believes that the proposal of re-zoning this property for professional office space is the most realistic and best use of this uncommon structure. Based on our own knowledge of the structure, we believe the current owners have a solid understanding of the work required to properly renovate it. Equally important, we trust that the current owners are operating in good faith when it comes to trying to preserve the aesthetics of this historical landmark. As many residents have witnessed firsthand, Longmeadow moves at its own speed and with a great amount of deliberation when it comes to re-zoning a property. For example, public discussion related to the re-zoning of this very property commenced in 1990, and yet over all these years, nothing has changed. Hence, we do not subscribe to a fear or uncertainty that this single change will introduce a rapid or gradual wave of re-zoning elsewhere around the Green. Outside of a viable re-purposing and renovation, we sincerely believe demolition of this prominent building is a certainty once it is officially deemed uninhabitable -- or a catastrophic event such as a partial structural collapse or fire occurs -- whichever comes next. We can only hope that people vote “yes” on January 25, so that future generations can experience this distinctive town landmark for another 100 years and create some new memories. Ultimately, this is for you, the residents of Longmeadow, to decide. 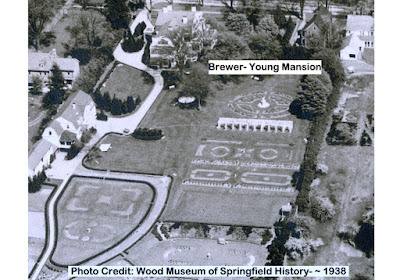 The last Young family members to reside in what is currently referred to as the Brewer-Young estate.